Education is not only an accumulation of academic degrees or diplomas , but should necessarily lead to the all-round development of a child’s personality. 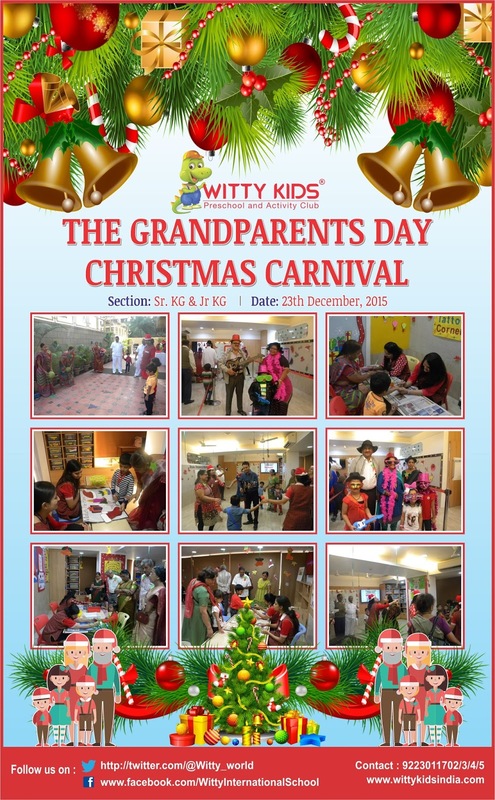 At Witty Kids we have always recognized the fact that relationships play an important role in the building of a balanced personality. 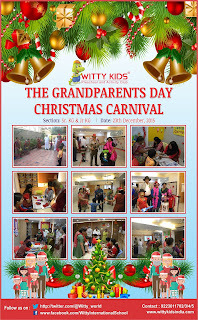 Amongst the many primary relationships ,the relationship between a grandchild and a grand parent holds the most significance] As a mark of respect for the values instilled by Grandparents, . we have a tradition of celebrating Grandparents’ Day every year. Every year we try to offer our beloved Grandparents a different experience to honour the importance of their roles in our lives. 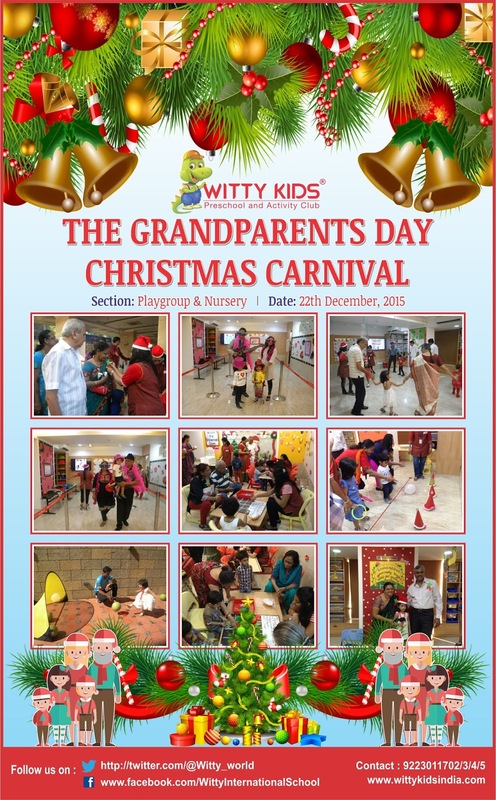 This year Witty Kids celebrated The GrandParents Day Christmas Carnival at WITTY WORLD .Grandparents and their little ones enjoyed a boisterous music and movement session , played games together in Santa;s Fun Island and watched a Rudolph the reindeer puppet show in The Witty Puppet theatre. The highlight of the event however was the RETRO TO METRO rampwalk, where garandparents and their grandchild could choose from an array of outlandish props , accessorize themselves with it and then do the ramp walk. As a momento , each child was gifted a photograph with his/her grandparent and the schools mascot Witty!!! 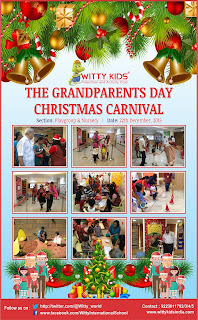 It was definitely a great opportunity for grandparents to relive their childhood!! !